DES MOINES, Iowa - Iowa labor officials said Tuesday that they had uncovered dozens of child labor violations at the nation's biggest supplier of kosher meat. Officials from the state's Labor Commissioner's Office said their investigation, which spanned several months, uncovered 57 cases of child labor law violations at the Agriprocessors kosher meatpacking plant in Postville, where nearly 400 workers were arrested this spring in the largest immigration enforcement operation in U.S. history. The types of violations included minors working in prohibited occupations, exceeding allowable hours for youth to work, failure to obtain work permits, exposure to hazardous chemicals and working with prohibited tools. "The investigation brings to light egregious violations of virtually every aspect of Iowa's child labor laws," Dave Neil, Iowa Labor Commissioner, said in a statement. "It is my recommendation that the attorney general's office prosecute these violations to the fullest extent of the law." Juda Engelmayer, an Agriprocessors spokesman, declined to comment. Federal immigration agents arrested 389 illegal-immigrant workers, mostly Guatemalans, in a May 12 raid at the Agriprocessors plant. Most of the arrested workers pleaded guilty within a week and are serving sentences in federal prisons outside Iowa before being deported. Allegations of child labor violations were included in an initial affidavit and a search warrant that led to the raid at Agriprocessors, which also operates a plant near Gordon, Neb. Kerry Koonce, a spokeswoman for Iowa Workforce Development, the agency that oversees the labor commission, said Iowa's child labor investigation into Agriprocessors began before the federal immigration raid and was independent of the raid. 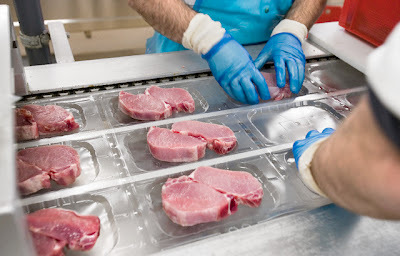 Under Iowa law, it is illegal for children under the age of 18 to work in meatpacking plants. Koonce said the number of violations is much larger than what is typically found in the state of Iowa. "Typically, when we have child labor issues it's an issue of one or two individuals," she said. "From our point of view, with this investigation, it's a large-scale violation of the law." Koonce said the full report was not being made public because it is a part of a criminal investigation but she confirmed that 57 children were involved.